Splice is an experimental and artistic puzzler. Immerse yourself in its microbial world and start splicing! Every level ("strand") consists of a number of cells that you will need to rearrange into a target structure in several moves ("splices"). Exploration and experimentation are key in determining how the curious little cells react to each other. Predict the sequence of splices you'll have to make in order to successfully arrange each strand. Re-sequence, mutate, and splice your way through this unique puzzle experience, and you'll exercise your ability to visualize sequential series of shapes over time. Splice is an experimental and artistic puzzler. Immerse yourself in its microbial world and start splicing! Every level ("strand") consists of a number of cells that you will need to rearrange into a target structure in several moves ("splices"). Exploration and experimentation are key in determining how the curious little cells react to each other. Predict the sequence of splices you'll have to make in order to successfully arrange each strand. Re-sequence, mutate, and splice your way through this unique puzzle experience, and you'll exercise your ability to visualize sequential series of shapes over time. Like many of you I have a ton of games in Steam I've never played. We all get them from bundles, game packs or Steam sales and have high ambitions to play them all. Eventually. Thing is, over the last year my list of games has increased at a faster rate than I can play them so I decided to take steps to address this. One thing I do now is I don't buy a game I won't immediately play. So if there is a new sweet bundle OR game on sale, I will not buy it unless I will be playing it within a few days of buying it. My thinking here is that if I don't plan on sitting down to play the game now it won't happen in a week. I have also decided that when I want to play a new game,... Read All Like many of you I have a ton of games in Steam I've never played. We all get them from bundles, game packs or Steam sales and have high ambitions to play them all. Eventually. I have also decided that when I want to play a new game, I'll pick a game from my catalog I haven't played yet. That doesn't mean I won't buy new games I want to play, it just means that for the next bit, I am going to try and play the games I already have. When I find a new game that is awesome, I'll write a bit about it. So the other day I wanted to play something new and started looking at the bottom of my Steam list. 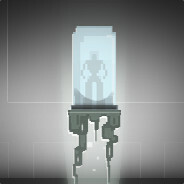 As I went up I noticed a game called "Splice" and I decided to install it. Splice is a really interesting puzzle game where you try and fit a cell sequence in a pre-determined area. It's kind of hard to explain in words so I recommend you check out the video above. The game kind of tosses you into the mix and after a few minutes of being totally lost I figured out how to beat the level. It's an interesting style and I kind of liked the feeling of being totally lost and finally having that "aha" moment where I knew what to do. The game's visuals look like you are looking at the cells in a high def microscope. The game also has a really cool HD "scratched" feel. The game score is quite good and the mixture of piano and minimal synth works well with the overall tone of the game. Splice has a similar feel to Solar 2 and if you loved Solar 2, Splice is up your alley. You can nab Splice on Linux, Mac, Windows, Android or iOS. I have a vast array of games like this, where I'll buy on sale or in a bundle, but then they sit, untouched, for some amazing amount of time. Nice the give the neglected their spot in the sun ;). Yeah it is. I hope to find more awesome games this way, many of them I know very little about.